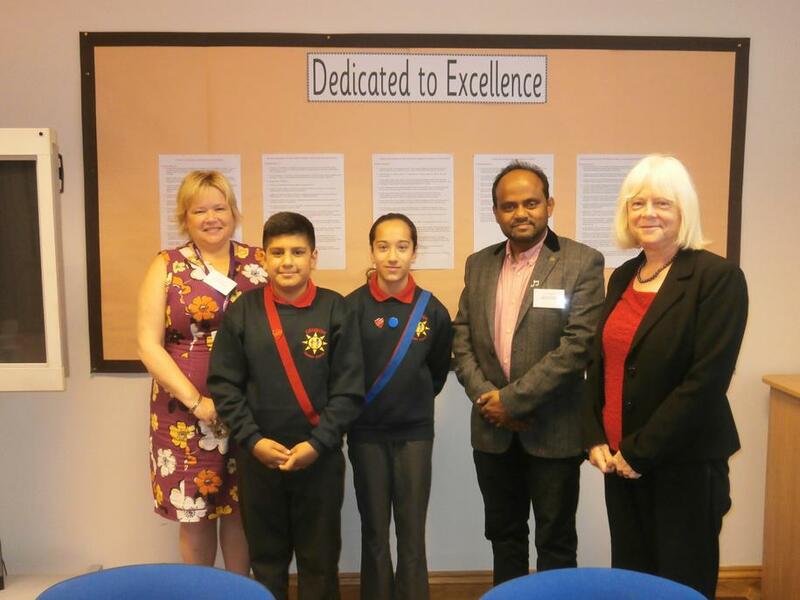 Denbigh Primary School is proud to announce the visit of the Corporate Director of People for Luton, Sally Rowe, and the Mayor of Luton, Councillor Tahir Khan. During her three hour stay, Mrs Rowe toured the school, speaking to pupils and staff. She dropped into a number of lessons, including a trampoline session and took great interest in looking at the pupils' work and admiring the displays in the classrooms and the corridors. Mrs Rowe also met with the newly appointed Head Boy and Head Girl to discuss their ambitions for the school.